"Saturday Night Live" Rep Says Rumors That Kenan Thompson Is Leaving the Show Are "Inaccurate"
An "SNL" spokesperson tells E! News that "this report is inaccurate as the season hasn't even started and cast decisions aren't made until the end of the season." File - Actor Kenan Thompson speaks at the 2011 Nickelodeon Upfront Presentation at Jazz at Lincoln Center on March 10, 2011 in New York City. 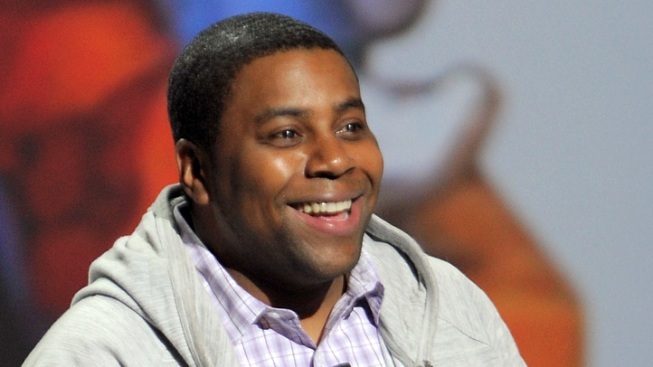 It looks like Kenan Thompson will continue to bring the funny on "Saturday Night Live"...for now. The comedian was in the center of reports that he would be leaving the popular late-night TV sketch after this season, but a rep for the NBC show has shut those rumors down. An "SNL" spokesperson tells E! News that "this report is inaccurate as the season hasn't even started and cast decisions aren't made until the end of the season." Thompson, who has been a cast member since 2003 and is known for his wide variety of impressions (Al Roker, Al Sharpton and Wanda Sykes, to name a few) along with some of his recurring characters (Hi, D'Andre Cole! ), was also rumored to possibly exit the live comedy show back in 2012. The 36-year-old was said to be teaming up with Lorne Michaels to write, executive produce and star in a comedy series at the time, which would have left him little to no time to be a part of the show. Clearly, that didn't turn out to be the case and Thompson continued to be a part of the NBC staple series, but wasted no time in expressing the lack of diversity on the variety show. Speaking to TV Guide in October 2013, Kenan was asked what "SNL" would do if they needed to impersonate a black female celebrity in one of their future sketches. "I don't know," he said. "We just haven't done them. That's what I'm saying. Maybe [Jay Pharaoh] will do it or something, but even he doesn't really want to do it." As for why he felt no black female comediennes have been added to the cast, Thompson simply explained, "It's just a tough part of the business. Like in auditions, they just never find ones that are ready." RELATED: Darrell Hammond is the new SNL announcer! Luckily, it didn't take long for that to change. In the following months, Michaels hired Sasheer Zamata, who made her "SNL" debut at the top of the year in January 2014 and became the first female black cast member since Maya Rudolph's departure in 2007. Season 40 of "Saturday Night Live" kicks off this weekend with funnyman host Chris Pratt. The following weekend, former cast member Sarah Silverman will host, and Bill Hader is also slated to come back to host a fall episode.